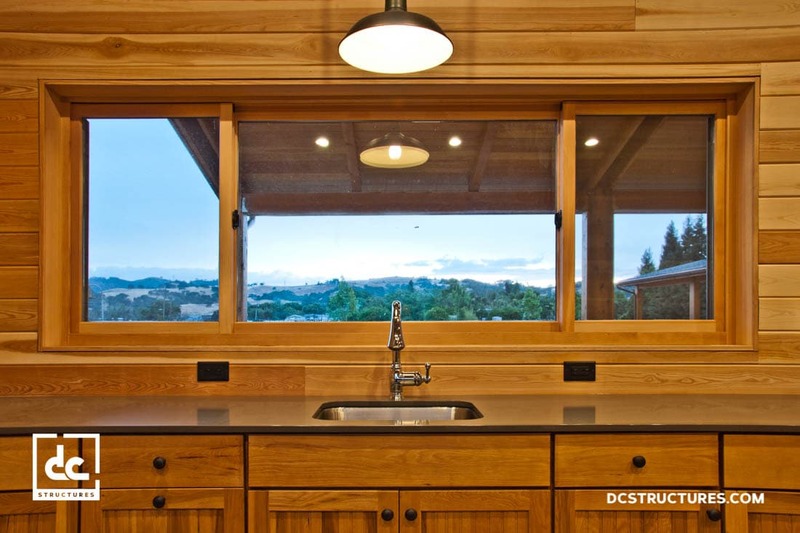 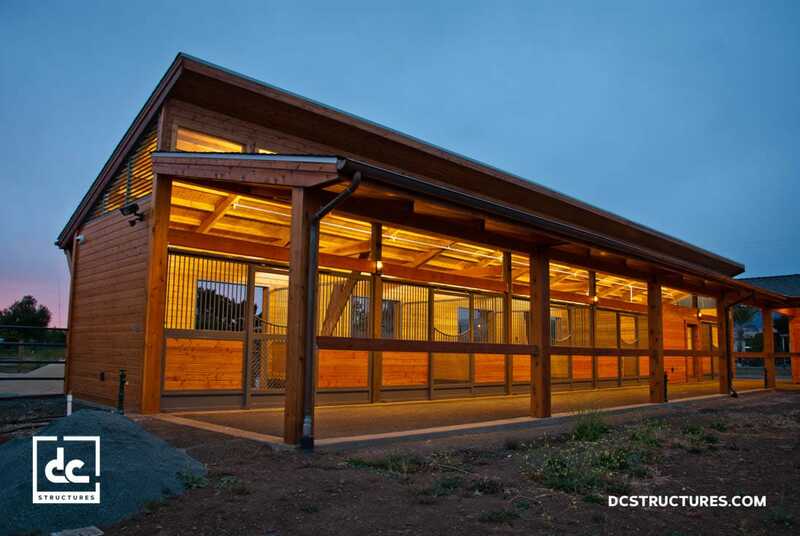 This L-shaped clerestory barn stands proud in San Martin, California. 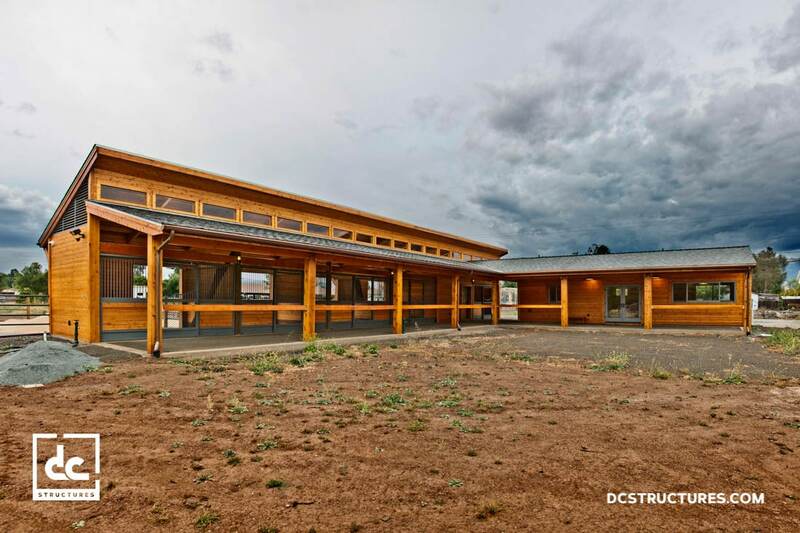 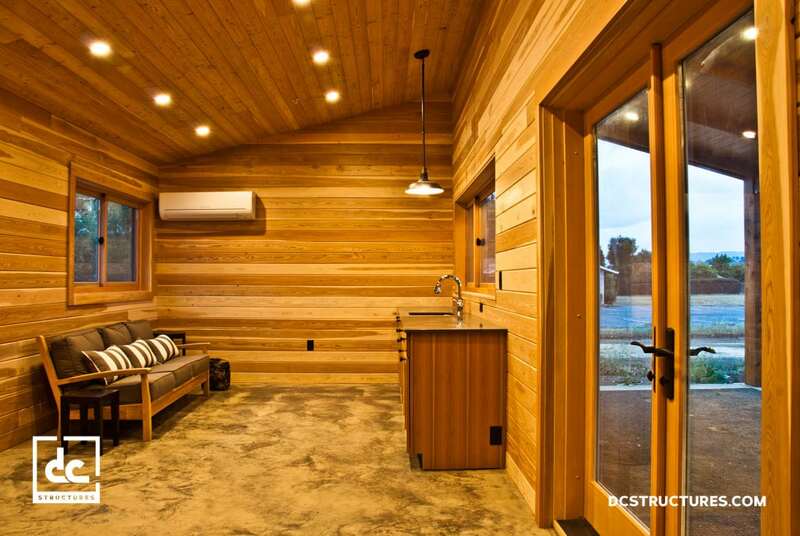 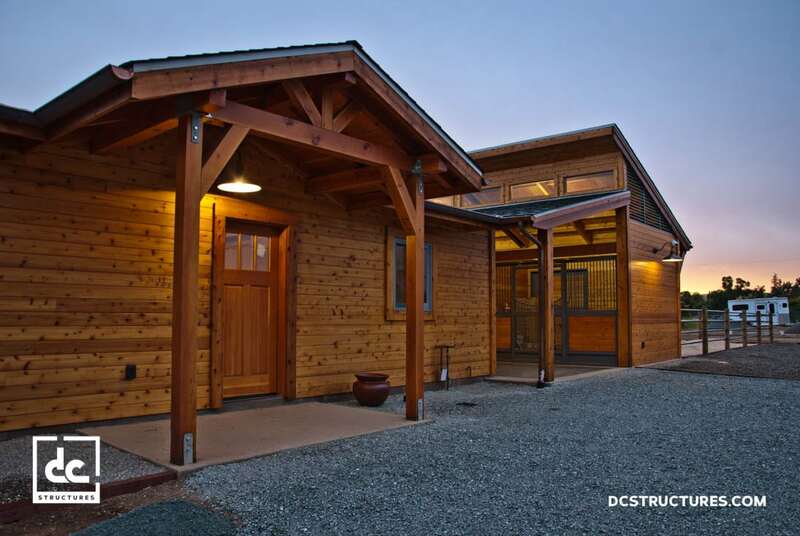 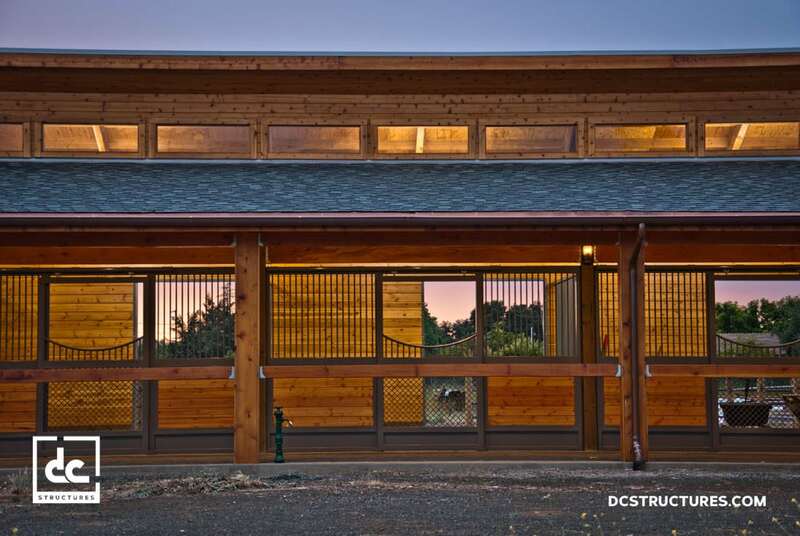 The floor plan features five horse stalls, a tool/feed room, laundry room, and large tack room. 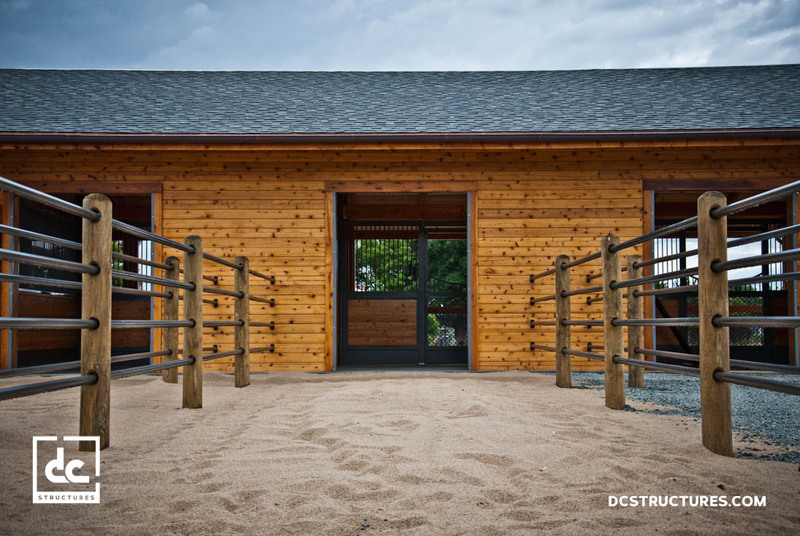 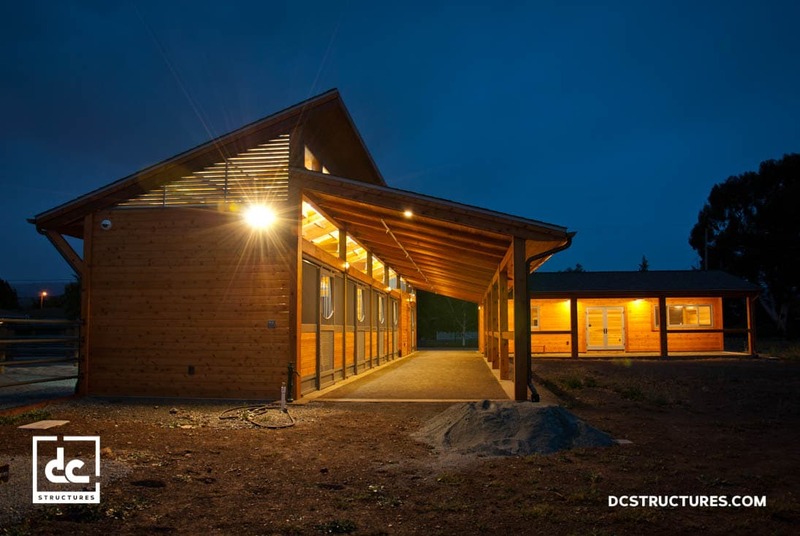 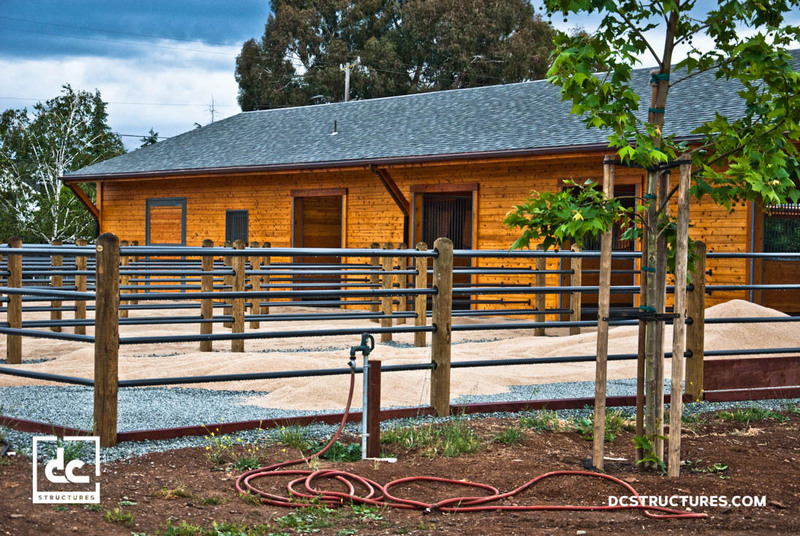 This magnificent post and beam structure features state-of-the art stall fronts from Lucas Equine Equipment. 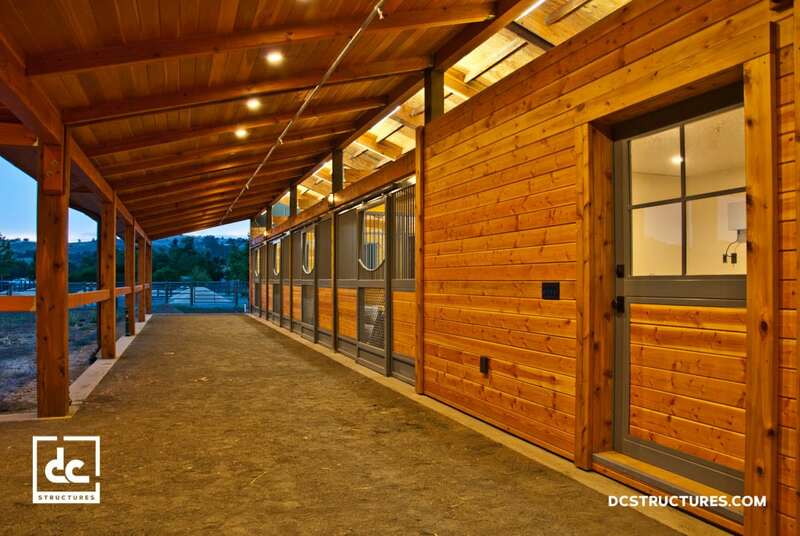 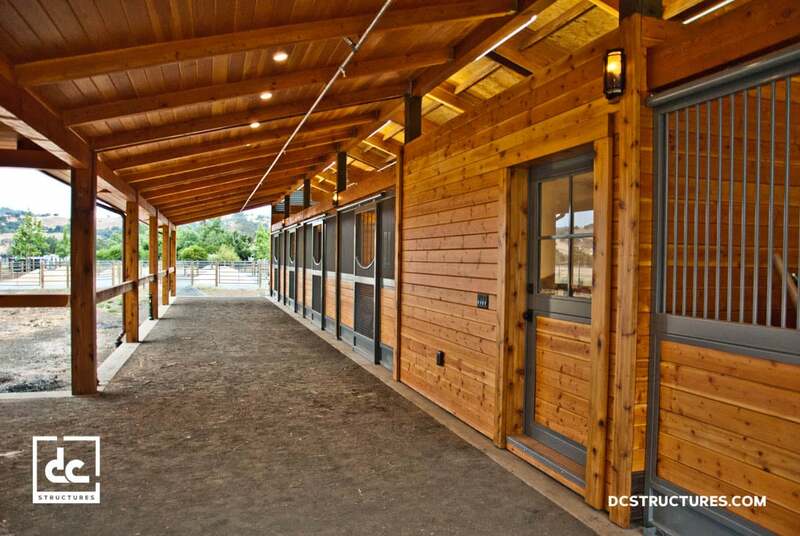 The exposed breezeway offers optimal ventilation for the horses.